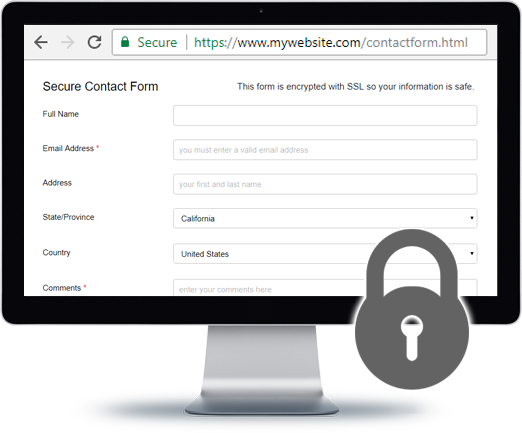 Adding SSL security (Secure Sockets Layer) to your website protects you and your visitors. It is important if you are collecting any private data, or if you sell online products and collecting payment information, but it also really helps in your search engine ranking. A valid SSL certificate will assure that information will be shared in an encrypted safe way. 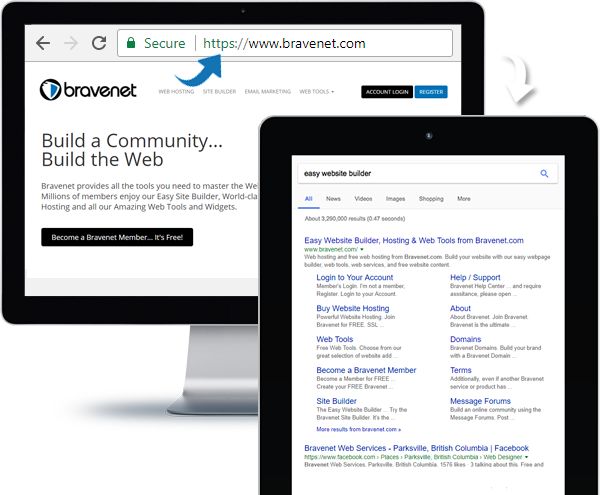 Use Bravenet's RapidSSL Domain Validated Certificates for all your domains. Many people feel a sense of trust for websites that use SSL certificates. You may also find a lower bounce rate to your site if people see the trusted https across your site. Your overall SEO page ranking can improve with the inclusion of an SSL certificate. Security is not just an important factor for user experience, but search engines reward webmasters for protecting visitor data. If you are collecting information from your viewers (name, address, email, phone number, etc. ), an SSL certificate will ensure the information collected is transmitted safely. It is important for your customers to feel secure when they do business with you online. up and running in only a few minutes. ranking so people find your site faster. will feel secure knowing data is encrypted. all will honor Bravenet certificates. Gain trust with your website visitors, and improve SEO at the same time.